Wednesday, April 22nd, 2015 at 3:49pm. One of the best things about owning a luxury home is having the space to entertain guests. It’s even better when your luxury home is located in Boca Raton, where you can take advantage of gorgeous weather year-round, and do your entertaining outside. Unlike other areas in your home that might be for more serious purposes, your backyard or balcony is made for entertaining and should create an inviting and relaxing atmosphere. 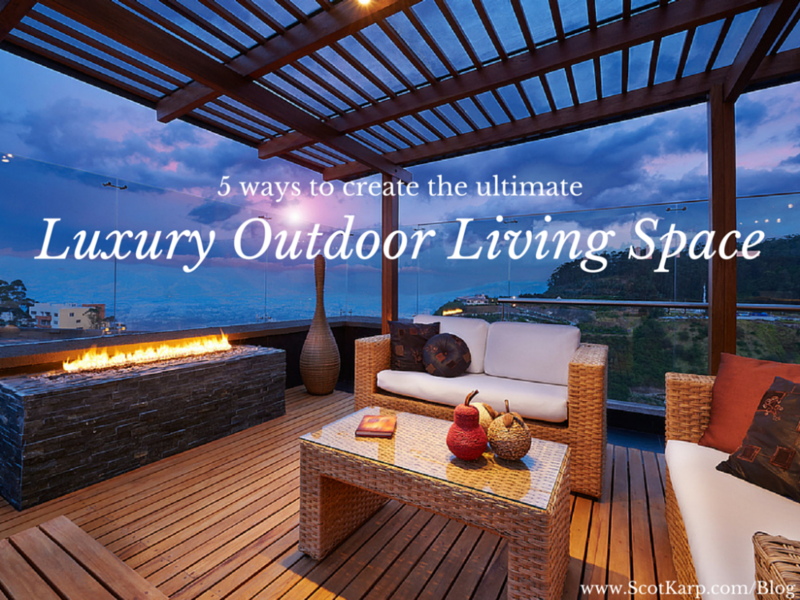 As such, there are some important features to include and things to keep in mind when you’re purchasing a luxury home or simply upgrading your luxury outdoor living space. Friday, April 10th, 2015 at 2:53pm. Interior design trends for 2015 are all about reinventing classy luxury, serenity, creative recycling and versatility. Since spring signifies change and rebirth, now is the perfect time to freshen up your luxury home. Recent trends in interior design make this easier than ever as it’s mostly about blending the old with the new. By following our simple tips, you can maintain your home’s elegance and sophistication while showing more individuality and unique charm.